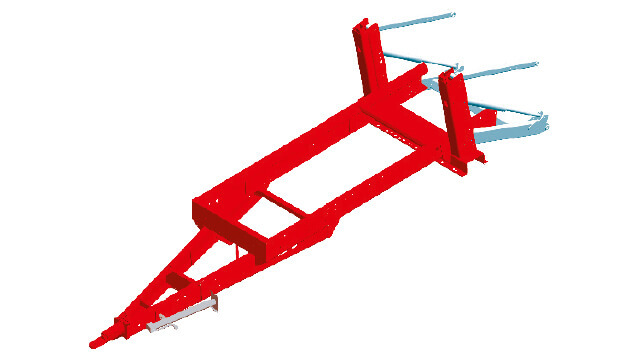 The RANGER chassis is built with high strength steel ensuring exceptional strength, at a relatively low weight. 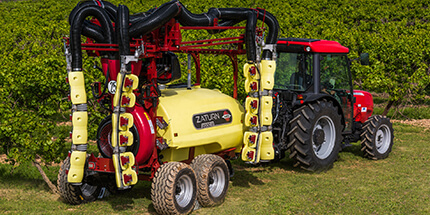 The chassis is built to endure under the most difficult conditions anywhere in the world. 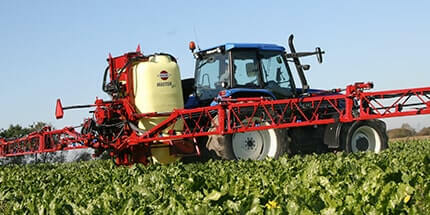 A sprayer with a high centre of gravity can be very dangerous to operate. 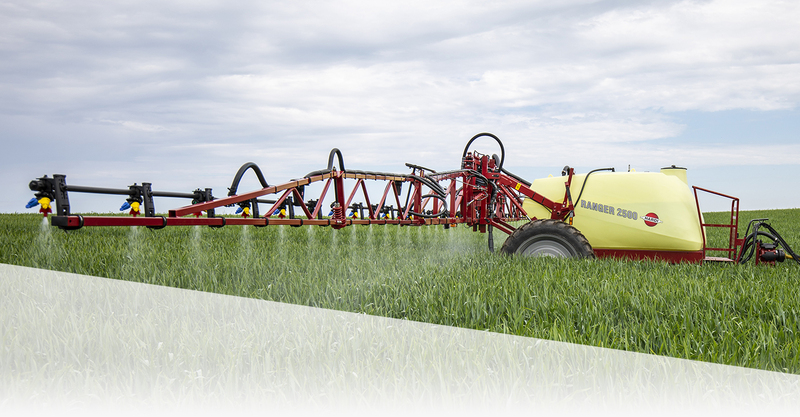 Great efforts have therefore been made to ensure that the RANGER has the lowest possible centre of gravity without compromising clearance under the sprayer. 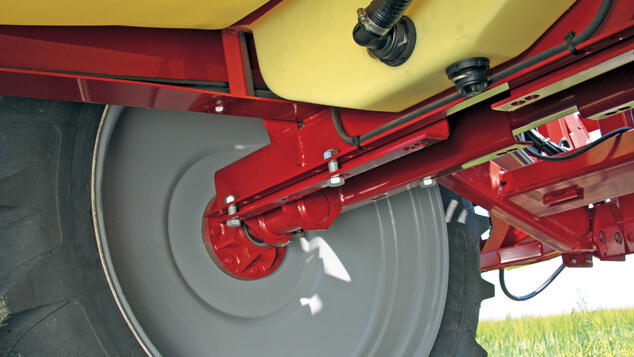 The unique design of axle and frame ensures excellent crop clearance. 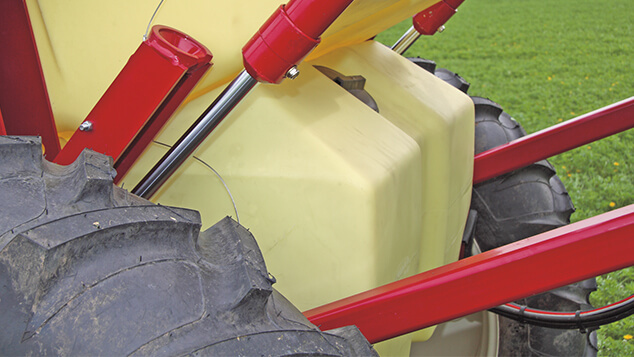 The drawbar on the tractor and the axle on the sprayer will always be the lowest points on the sprayer. The lid is placed very close to the platform to allow for easy inspection of the tank, which, combined with the shape of the tank, makes the bottom and sides of the tank visible to the operator. 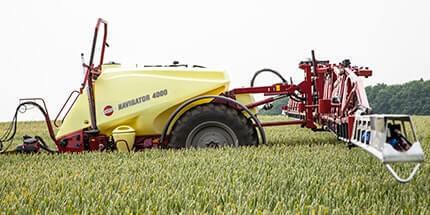 The platform is placed as low as possible, providing easy access for the operator. The platform is equipped with hand railing for safety and convenience. 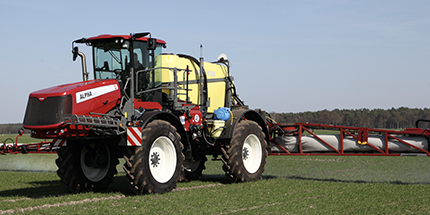 The chassis is designed in a way that reduces crop damages to a minimum, with the ground clearance underneath the axle being 700 mm. 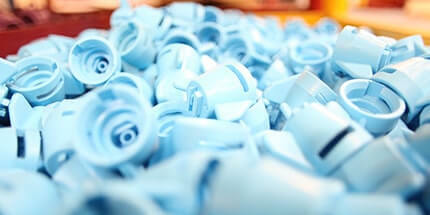 The axle is easily adjustable in 5 cm steps - simply loosen the bolts and place them in other positions. Ranger is available without brakes or with 4 different brake options. Hydraulic brake without handbrake is a competitive solution for markets where brake is a demand according to local regulations. Be aware that the road transport laws of the different markets must be followed. 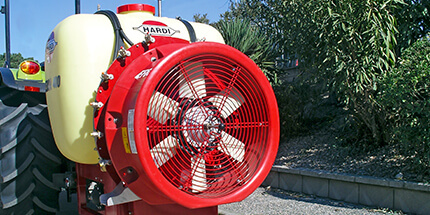 HARDI ParaLift requires a minimum of service (lubrication, adjustment etc.) 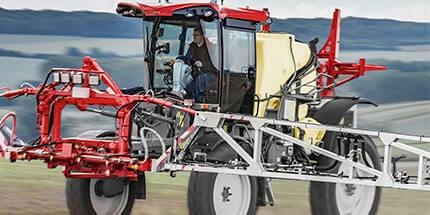 and offers a better boom performance compared to traditional H frame systems. 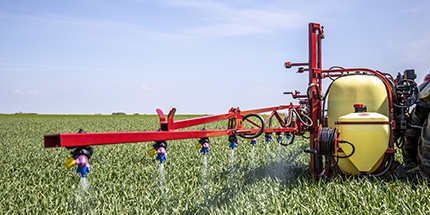 The long lift arms allow for very flexible height adjustment, the boom can be adjusted from 50 to 170 cm, depending on sprayer wheel and boom combination. 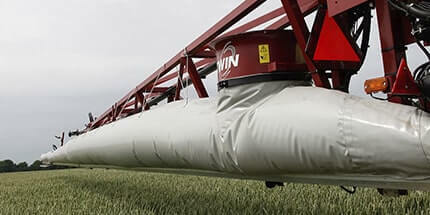 Wide attachment to the boom suspension ensures high performance of the boom. 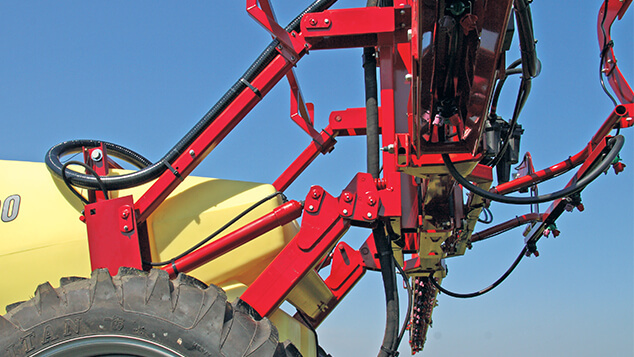 The 100 cm wide ParaLift ensures very stable attachment of the boom. 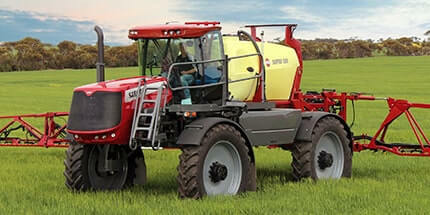 To make the sprayer as stable as possible the tank is much wider at the bottom, ensuring a low centre of gravity. 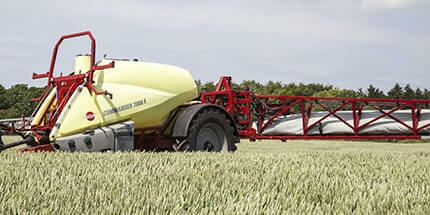 Liquid is moved forwards as the tank is emptied, thereby maintaining weight on the drawbar. In this way traction on the tractor is maintained, even when going up slopes with an almost empty tank. 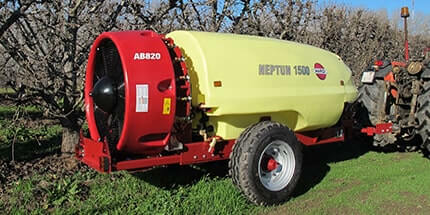 Because of the forward sloping of the tank, agitation towards the sump is very effective. 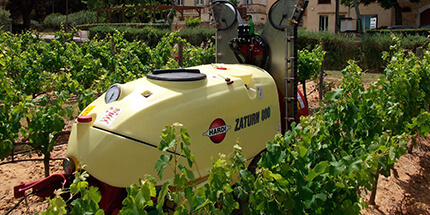 The sprayer is completely emptied even on slopes up to 10 degrees – uphill or downhill. Draining the main tank is easily done by means of the pull cord. 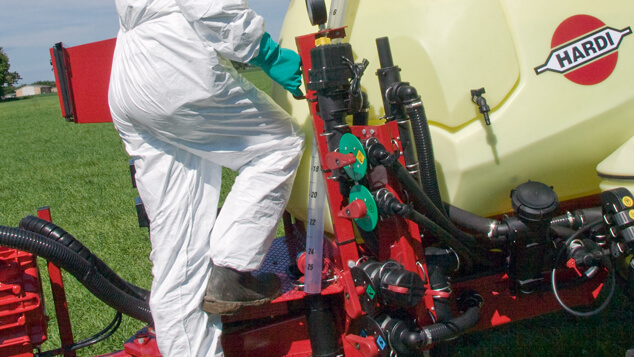 The operation is at the top of the tank which gives a safer way to empty the sprayer. 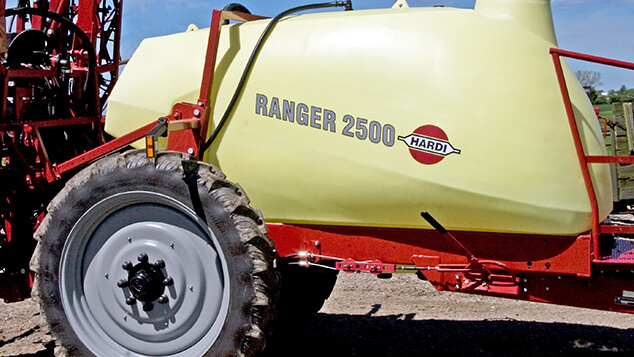 The RANGER comes standard with the dry level indicator. Ensuring visible tank volume at all times. 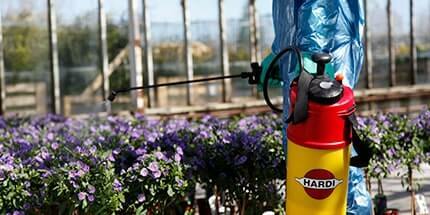 No sharp corners prevent sedimentation of pesticide. The adjustable. 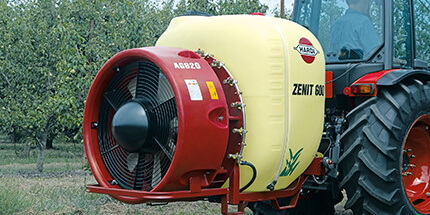 pressurised agitation system allows the operator to adjust for the demands of different spray solutions. 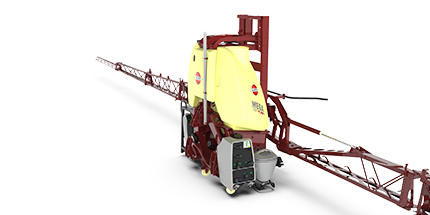 This allows the operator to maximise the agitation for hard to mix chemicals or reduce agitation when there is a risk of foaming. 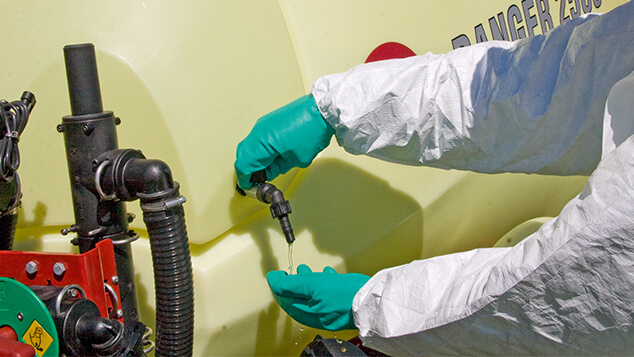 The RANGER can be equipped with a conveniently located 19 l Clean Water Tank, providing the operator with clean water in the work zone for safe clean-up of contaminated items. 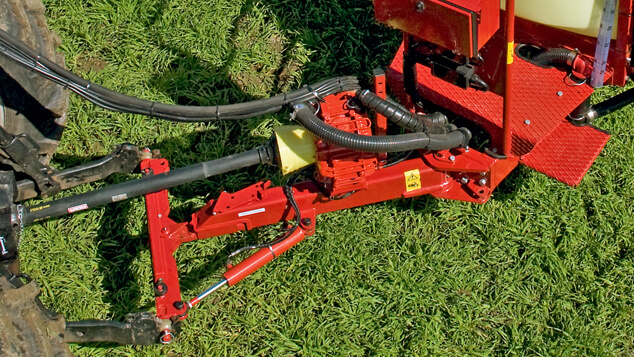 The RANGER can be equipped with a complete rinsing system. 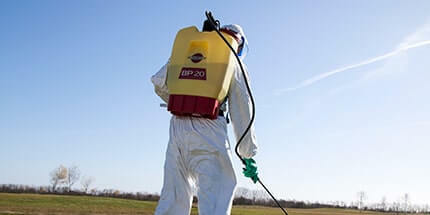 This system will flush the spraying equipment after completing the spray job. 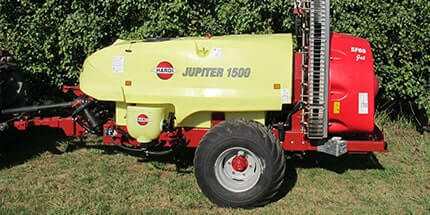 It flushes the control unit, pump, filters and boom lines. 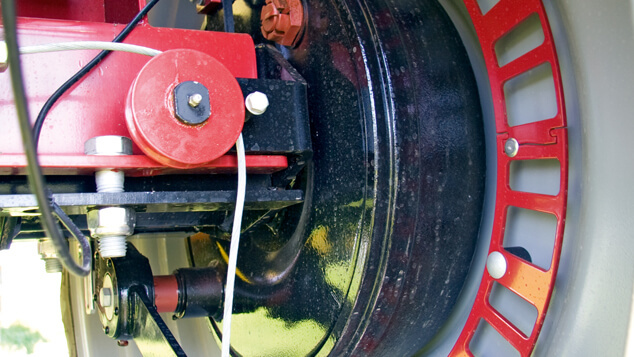 The standard tank flush nozzle will vigorously clean the inside of the main tank. 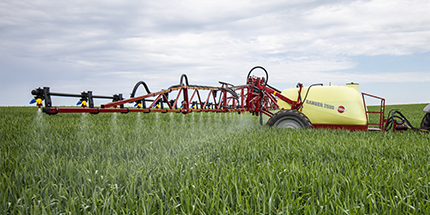 The rinse system will ensure fast, safe and easy change between plant protection products.